Did you know that you can stop some Windows 10 apps from running in the background in order to improve performance, although to be honest, it may only be a slight improvement? On Windows 10, apps that come with Windows 10 or that you install from the Windows Store are designed to run in the background. 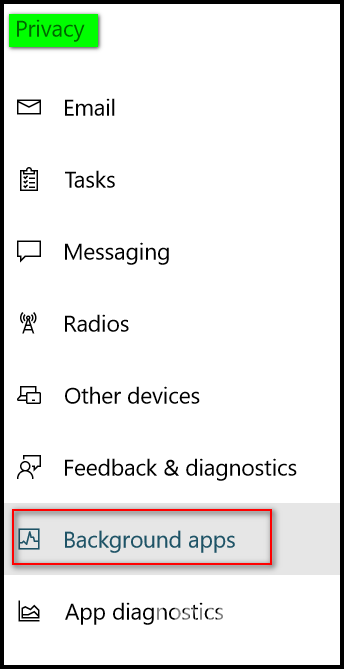 This allows the apps to take advantage of Windows 10’s freatures such as showing notifications, downloading data, feeding information to live tiles in the start menu, etc. But these apps are constantly running in the background even when they are not open. And apps running in the background can slightly reduce system resources and bandwidth and shorten battery life. Windows 10 Creators Update and newer versions of Windows 10, make it easy to shut down all background apps just by flipping a switch. Open Settings (from Start menu or Windows Key + i ) and click on Privacy. In Privacy, click on Background apps. 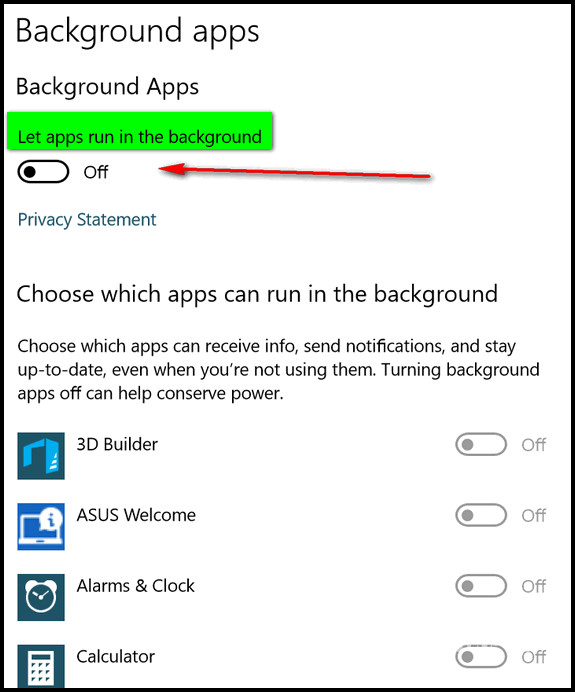 Turn the switch beneath “Let apps run in the background” to “Off”. Keep in mind this may affect news, weather, Twitter, or other live tiles on your start menu. However, it will not stop you from opening the apps. For example, if you turn the switch to off you can still open Calculator, Settings, Edge, and more. And if you find you just can’t live without the apps running in the background, you can always turn the switch back to “On”. Right?